The most common histological type of urinary bladder cancer is urothelial carcinoma (UC). In contrast, the clear cell variant of urothelial carcinoma (CCUC) is quite a rare neoplasm. In this study, we report a case of an 81-year-old male, presenting with gross hematuria and acute urinary retention, which was subsequently diagnosed with CCUC at our pathology department. 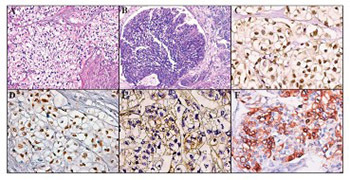 Furthermore, we provide a short systematic review of the literature (PubMed, Scopus, Science Citation Index) for this rare histopathological entity and a brief discussion about its morphological and immunohistochemical (IHC) characteristics.